Genuine GM Parts front left Z06 caliper for the C5 Corvette. 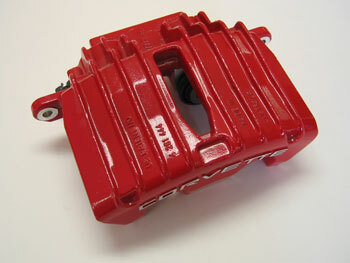 Gloss red powdercoat finish with "CORVETTE" raised text. Construction and performance are identical to the standard matte black caliper, color is the only difference.